Location, location, location!!! Immaculate 2 bed 2 bath condo with garage close to everything!! 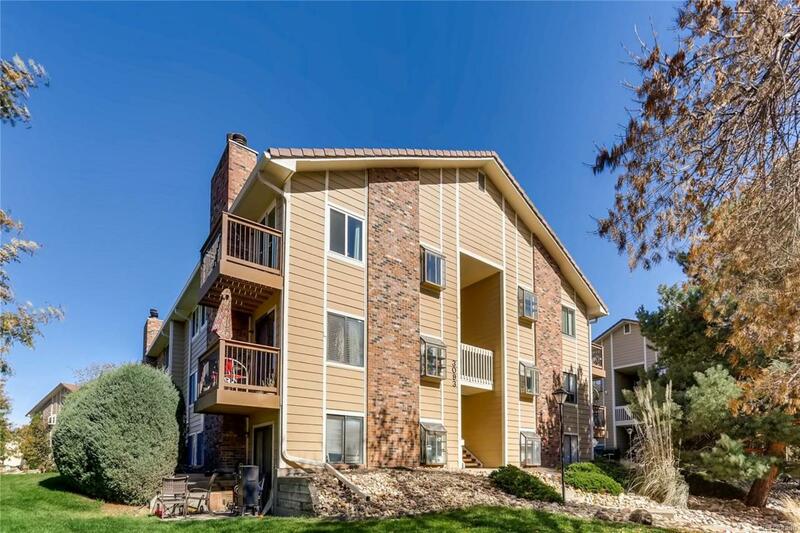 Upgrades abound in this spacious third floor unit, including new CORETec waterproof laminate flooring, new windows, new slider, newer stainless steel kitchen appliances, newer washer and dryer, and new roof and siding to be completed in spring! Kitchen boasts granite counters, wood cabinets, a gorgeous mirror and mosaic back splash and a pantry! Family room features tile surround fireplace and is open to eating area. A slider leads out to Trex balcony, perfect place to enjoy morning coffee! Two gorgeous full bathrooms feature granite counters and tile flooring. Community pool, club house and tennis courts! Huge plans in the works for nearby Regatta Plaza, including current construction of King Soopers Marketplace and ensuing construction of retail and office space, in addition to a pedestrian bridge to span Parker Road and provide safe access to 9 Mile and nearby Cherry Creek State Park.